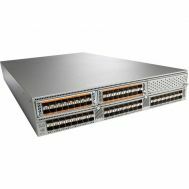 N9K-C95C93-B18Q Cisco Nexus 9508 Switch Chassis. New Factory Sealed. 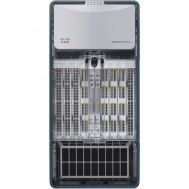 N9K-C95C93-B28Q Cisco 2 Nexus 9504-B2 w 72p 40G, 2 N9396PX and 8 QSFP-40G-SR-BD. New Factory Sealed. 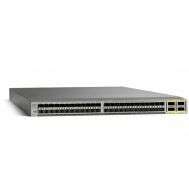 N6K-C6004-96Q Cisco Nexus 6004 Layer 3 Switch. New Factory Sealed. 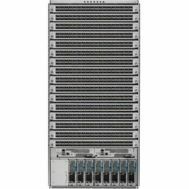 N9K-C9508-B2R8Q Cisco 8 slot, 2 Sup, 3 FM, 2 SC, 6 PS, 4x9564TX, 8 BIDI. New Factory Sealed. N7K-C7010-B2S2E-R Cisco Nexus 7010 Bundle (Chassis,2xSUP2E,5xFAB2), No PS. New Factory Sealed. 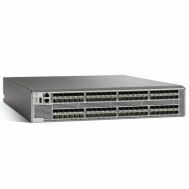 C1-N7710-B26S2E-R Cisco ONE N7710 Bundle (Chassis,2xSUP2E,6xFAB2), No Pow Sup. 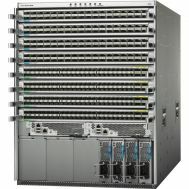 New Factory Sealed..
N9K-C9516-B2 Cisco Nexus 9516 Chassis Bundle with 1 Sup, 3 PS, 2 SC, 6 FM, 3 FT. New Factory Sealed. 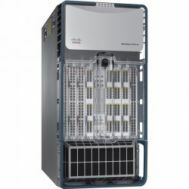 N77-C7706-SD-P1 Cisco Nexus 7700 6-Slot Switch - Manageable - 6 X Expansion Slots - Modular - 6 X Expansion Slot - 2 Layer Supported - 9u High - Rack-Mountable. New Factory Sealed. N77-C7710-B26S2E-R Cisco Bndl Nexus 7710 Chassis 2xsup2e 6xfab2 No Power Supplies. New Factory Sealed. 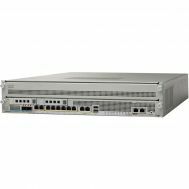 N6004EF-8FEX-10GT Cisco N6004 Chassis with 8 x 10GT FEXes with FETs. New Factory Sealed. 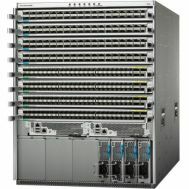 N7K-C7009-SD-P1 Cisco N7009 Bundle (7009,2xSUP2,3xFAB2,2xAC-6KW,2xM224,1xSBUN-P1). New Factory Sealed. C1-N7009-B2S2E-R Cisco ONE Nexus7009 Bundle(Chassis,2xSUP2E,5xFAB2), No Pow Sup. New Factory Sealed. N77-C7710-B23S2E-R Cisco Nexus 7710 Chassis 3xfab2 - 2xsup2e No Power Supplies. New Factory Sealed. N56128PM-12FEX-1G Cisco Nexus 56128P, 1xN56-M24UP2Q, 12xNexus 2248TP-E with FETs. New Factory Sealed. 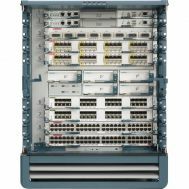 CFP-100G-ER4 Cisco SC To PC Single-Mode CFP Transceiver - 100 GBPS. New Factory Sealed. 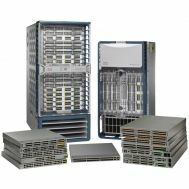 N7K-C7009-B2S2E-R Cisco Nexus 7009 Bundle-Switch-L3-managed-rack-mountable-with Cisco Nexus 7000 Series Supervisor 2 Module, 5x Cisco Nexus 7000 Series Fabric-2 Module. New Factory Sealed. 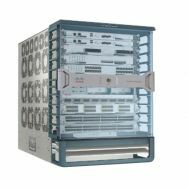 N6004EF-6FEX-10G Cisco N6004 Chassis with 6 x 10G FEXes with FETs. New Factory Sealed. 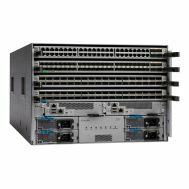 ASA5585-S40-2A-K9 Cisco 5585-X Firewall Edition Adaptive Security Appliance - Application Security - 6 Port - Gigabit Ethernet. New Factory Sealed. 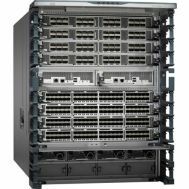 N5672UP-12FEX-1G Cisco N5672UP Chassis with 12 x 1G FEXes with FETs. New Factory Sealed. 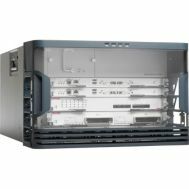 N9K-C9508-B3R8Q Cisco Nexus 9508 Switch Chassis - Manageable - 18 x Expansion Slots - 3 Layer Supported - 13U High - Rack-mountable. New Factory Sealed. N77-C7710-B26S2E Cisco Nexus 7710 Bndl Chassis 1xsup2e 6xfab2 No Power Supplies. New Factory Sealed. 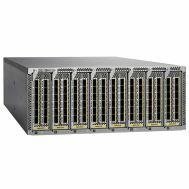 C1-N5672UP-8FEX-1G Cisco ONE N5672UP Chassis with 8 x 1G FEXes with FETs. New Factory Sealed. N7K-C7010-B2S2-R Cisco Nexus 7010 Bun(Chassis,2xSUP2,5xFAB2), No PS. New Factory Sealed. N7706-CAMPUS-P1 Cisco Nexus 7706 Campus Promotional Bundle. New Factory Sealed. 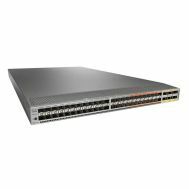 C1-N9K-C9508-B2 Cisco ONE Nexus 9508 Chassis Bun 1 Sup,3 PS,2 SC,6 FM,3 FT. New Factory Sealed. N77-C7706-B26S2E-R Cisco Nexus 7706 Bundle (Chassis,2xSUP2E,6xFAB2),No Power Supplies. New Factory Sealed. 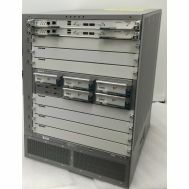 N6001P-6FEX-10GT Cisco N6001P Chassis with 6 x 10GT FEXes with FETs. New Factory Sealed. N7K-C7009-B2S2-R Cisco Nexus 7009 Bundle (Chassis, 2xSUP2, 5xFAB2), No Power Supplies. New Factory Sealed. 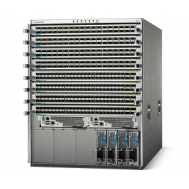 N56128P-8FEX-1G Cisco Nexus 56128P, 8xNexus 2248TP-E with FETs. New Factory Sealed. 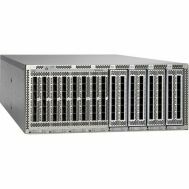 DS-C9396S-96E8K9 Cisco MDS 9396S With 96 Active Ports 8G SFPS Port Side Exhaust. New Factory Sealed. 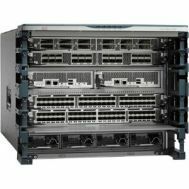 C1-N7706-B26S2E-R Cisco ONE N7706 Bundle (Chassis,2xSUP2E,6xFAB2), No Pow Sup. New Factory Sealed. 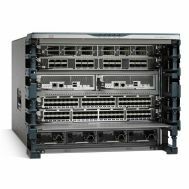 N5596UP-6N2248TR Cisco Nexus 5596UP Switch Chassis. New Factory Sealed. C1-N7009-B2S2-R Cisco ONE Nexus 7009 Bundle (Chassis,2xSUP2,5xFAB2), No Pow Sup. New Factory Sealed. 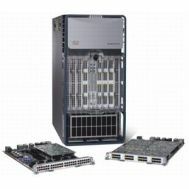 N7K-C7004-S2E-R Cisco Nexus7004 Bundle(Chassis,1xSUP2E), No Pwr Supp. New Factory Sealed. N5672UP-8FEX-1G Cisco N5672UP Chassis with 8 x 1G FEXes with FETs. New Factory Sealed. C1-N5596UP6N2248TP Cisco One Nexus 5596UP/6xN2 FD. New Factory Sealed. 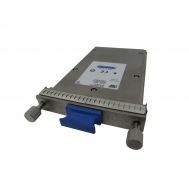 MX240 Premium Bundle with Redundant components DC Power. New Factory sealed. C1-N7710-B23S2E Cisco ONE Nexus 7710 Bundle (Chassis,1xSUP2E,3xFAB2), No Pow Sup. New Factory Sealed. A9K-16T/8-B Cisco 16-Port 10GE Medium Queue Line Card - Switch. New Factory Sealed. N9K-C9508-B2 Cisco Nexus 9508 Chassis BNDL WITH 1 SUP, 3 PS, 2 SC, 6 FM, 3 FT. New Factory Sealed.